Silvia Lara YaÃ±ez picks a white strwaberry. 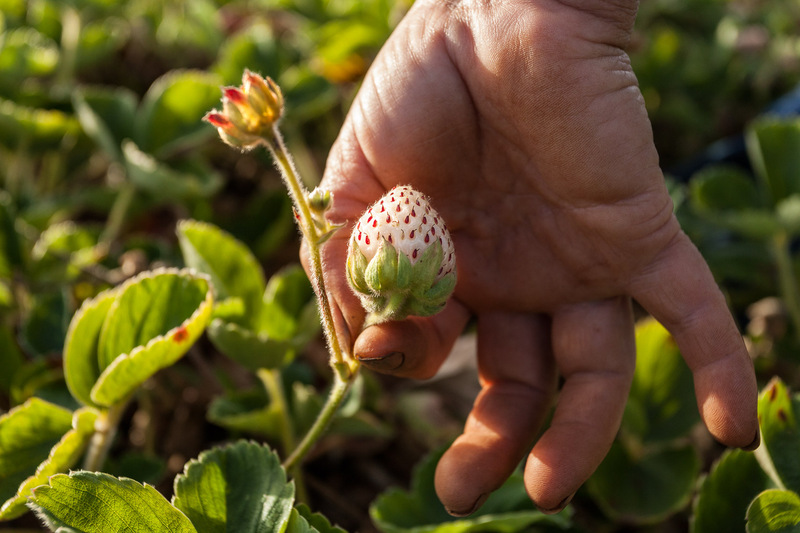 These strawberries are especially delicate and will show bruising with the stlightest touch. To avoid blemishes, they are picked by snipping the stem with the thumb nail.